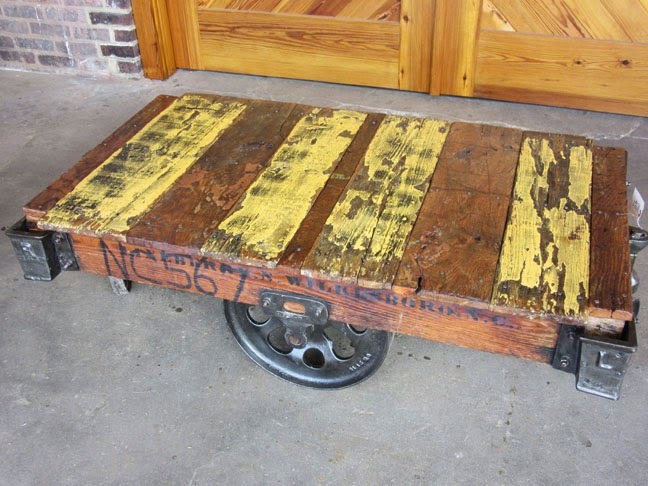 The markings of industrial history are all over this cart. 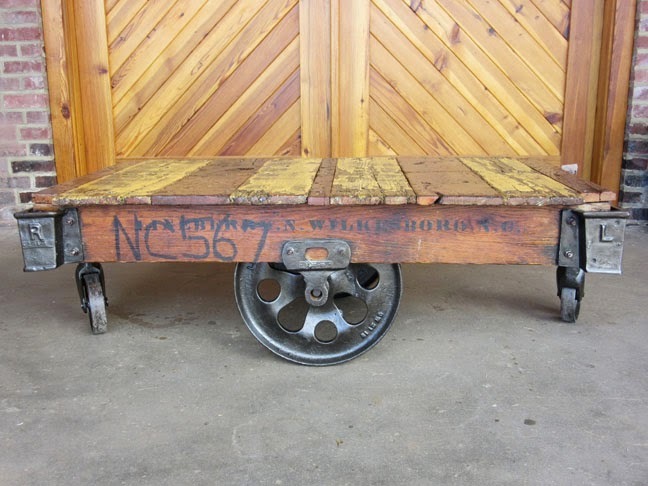 The authentic Lineberry stencil, extremely dark and sharp, can be seen on both sides of the frame, plus, as part of a factory transfer, the working carts were all numbered - this one was labeled NC567. The eye-catching top still has the yellow and burgundy paint from the factory in stripes on alternating boards, along with the cracks, chips, and marks that recall its' long life. The large side wheels have the part number / Lineberry name in relief on the cast iron. The hardware has been polished. Measures 27 x 48 x 16.